Is your home a bit too cold for comfort? Are you having trouble regulating the temperature inside your office? If your thermostat is broken, you may find it challenging to maintain a comfortable indoor environment. 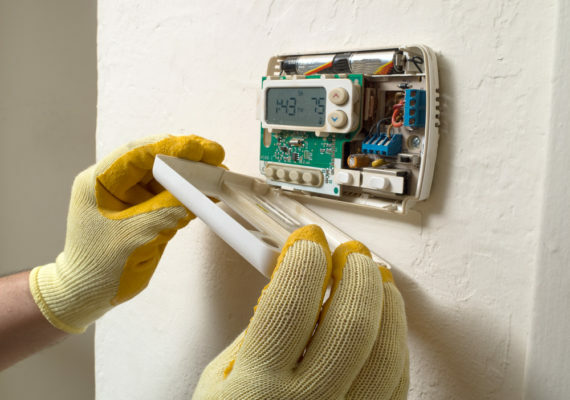 So if you need reliable thermostat repairs in Bloomington, IL, call on our team for help. At Residential Electric Heating, Cooling & Insulation, we go out of our way to provide the thorough, dependable repair work you deserve. When you bring us in to fix your thermostat, you can rest assured that we’ll take the time to do the job right. We cater to commercial and residential customers alike, and we work hard to complete our repairs quickly and efficiently. Don’t let a broken thermostat make your home or business too hot or cold for comfort. The team at Residential Electric Heating, Cooling & Insulation is at your service. Contact or call us today for more information or to schedule an appointment.